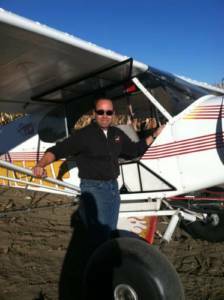 AirScout is the brainchild of 5th generation Indiana farmer, pilot, and inventor, Brian Sutton. He understands the benefit of field scouting and the devastation crop disease can cause for a farm family and their operation’s profitability. Sutton noticed that when a corn crop is most vulnerable to problems, it’s also the toughest to ground scout. The intervention window is very small, and there’s no chance to replant. Launched in 2010, AirScout® leverages imagery of crops collected via fixed wing manned aircraft to build precision prescription zones and strategic scouting plans to maximize return on precision ag equipment. Sutton’s work of over a decade has resulted in a stunning breakthrough in agricultural aerial imagery, AirScout® Thermal™ Imagery. Today the result of his work is AirScout, and AirScout delivers what we call Proactive Crop Management. In a world of “me-too’s,” there’s nothing else quite like it. AirScout features patented advanced thermal imaging that measures variations in plant temperatures within a given field. This precision ag tech helps farmers see where pest and disease problems are breaking out. You can then ground truth areas by using the AirScout App or the AirScout drone. AirScout represents the most significant advancement in precision farming. It puts diagnostic and prescription writing tools directly into the hands of the farmer and agronomist. With advance warning of emerging crop problems, weeks ahead, and not days as with NDVI, we can reduce intervention input costs and maximize yields. That’s the value of AirScout, The Proactive Crop Management Tool. AirScout helps producers shift from reactive crop management mode to proactive crop management, where you solve problems when they first appear – before real damage is done. Join our team here at AirScout! We are hiring a Full Stack Developer, Dev Ops Manager, and VP Sales. Resumes and inquiries can be sent to careers@airscout.com. AirScout is a growing company with a solid team of experienced leaders in agriculture, aviation, software, and image processing. Get in on the ground floor and make a difference in the world of Ag Tech. The Full Stack Developer position blends both front-end and back-end development. The position would work on both the user, and server, side of web and app development and maintenance. The role requires in-depth knowledge to be evaluated critically by our team in the interview process. Collaborate with developers, designers, sys admins, and customers. Tailor solutions to suit both internal and customer facing usage. Requires a bachelor’s degree in any related field. 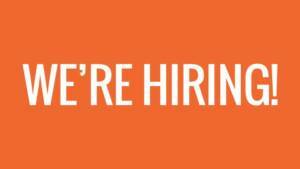 This position will be located at AirScout’s office in the Research Park at the University of Illinois Urbana-Champaign. The majority of working hours is in an office setting, either working independently or meeting with team members. Some regional travel to visit satellite offices is required. Please send your resume to careers@airscout.com. AirScout is a growing company with a solid team of experienced leaders in agriculture, aviation, software, and image processing. Get in on the ground floor and make a difference in the world of Ag Tech. The Dev Ops Manager will work collaboratively with the AirScout operations team to build, deploy, and coordinate internal systems. This position will help automate and streamline AirScout operations and processes, as well as build and maintain tools for deployment, monitoring, and operations. The position offers an opportunity to oversee and scale important operational systems within a growing company. Lastly, the Dev Ops Manager will troubleshoot and resolve issues in our dev, test, and production environments. Position will report to the CTO/Director of SW Development. Manage the development and deployment of internal tools as needed. Participate with senior managers across the company to establish strategic plans and objectives. Bachelor’s degree in business, engineering, technology or related field, unless candidate has proven successful with related and relevant work experience. This position will be located at Airscout’s office in the Research Park at the University of Illinois Urbana-Champaign. The majority of working hours is in an office setting, either working independently or meeting with team members. Local and regional travel to visit satellite offices may be required.